Linda: Thanks for joining me today. 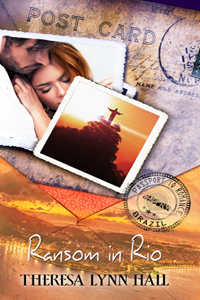 My readers love a good mystery or suspense novel, so they will be very excited to hear about your latest release, Ransom in Rio. Here's the blurb: Private investigator Braden McCoy wants nothing more than finishing out the week doing a little fishing from his boat. The ex-special ops vet enjoys his peaceful life and loves his new career. Until a mourning redhead walks into his office and changes his plans. Lexi Ramos always knew her family was dysfunctional. Until the sudden death of her brother, she never knew exactly how much. Consumed with questions surrounding his accident, she seeks the help of a private investigator. What starts out as a murder investigation in Cozumel quickly crosses borders and escalates into a race against time to save them both from Brazilian kidnappers who somehow know more about her family secrets than she does. Lexi soon learns that life comes with a price. It sounds intriguing! What was your inspiration for the story? Theresa: Thank you so much for having me here, Linda. My publisher, Pelican Book Group, has a series called Passport to Romance. They request books from different international locations that include 3 particular items to show up in the book. 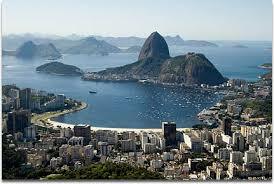 One location was Rio, Brazil with the items being a formal event, a family secret, and an emerald necklace. The significance of the items can vary. As luck would have it, my husband was assigned to go on a business trip to Sau Paulo, which included a few days in Rio. The man assigned to host him while he worked there showed him the culture and language. He took a lot of pictures and brought back many stories. I even had to learn some Portuguese so that I could call his hotel. I also learned very quickly that this Texas girl can’t pull that off! LM: How do you come up with your characters? Are they based on any real people in your life? Theresa: Great question! And one my friends and family are going to want to see the answer to! Actually, I do not base my characters on real people intentionally. I have found that my husband tends to influence my hero quite a bit and some of my quirks sneak into my heroine. In Ransom in Rio, Lexi is very determined and strong. She’s a fighter till the end. In the book I’m writing now, my heroine is a bit more vulnerable and less sure of herself. The two women have completely different personalities but each strong in her own way. Neither of them are based on any one person intentionally. Theresa: I am typically a “pantser” but it does get me bogged down. I’ve learned to change my process a bit. 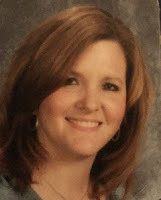 I’m a full-time, first grade teacher and my job is mentally and physically exhausting. There are weeks when I can’t write at all. On another side note, I also have an autoimmune disease which causes extreme fatigue. When I was a full-blown “pantser” I would find myself getting lost when I came back to the story. I couldn’t focus and I had no real plot. Now, I start out the first few chapters without an outline (which is always the most fun!) and then I stop and outline the rest of the book. It helps me stay on track. However, I always change the outline as I write because my characters usually have a way of doing what they want anyway. But, yes, if I have to identify as one or the other then I’m a “pantser”—with a few modifications. LM: What do you do to prepare yourself for writing? For example, do you listen to music or set up in a specific place? Theresa: I think we all have our fantasy writing spot. Like that deserted island, watching the waves roll in with my laptop, while having food and drinks handed to me. Lol! But in reality, I have an office at home where I have everything set up. I also have a laptop and an iPad. I have strike it while the iron is hot, so to speak. I’m one of those people who can write in front of the TV with people talking around me. I can tune out pretty much anything if I’m in the zone. Theresa: I’m loving your questions! I’m having to really think on this one. Well, this answer is probably boring…but, writing related I’d have to say I’d love to learn how to successfully use social media for promoting my books. I’m such an introvert and never know what to say! On a personal level, I’d love to learn how to play the piano. I have one and can hardly play it. I took lessons as a little girl but have forgotten a lot. Theresa: I always have a few going but one I’m focused on now is about a young woman who thinks she’s finally getting herself together and is suddenly thrown into something so corrupt that she’s running for her life. The officer trying to help her soon finds himself running with her, not knowing who to trust next. Underneath the suspense and drama, it’s about two people who have to learn how to trust not only each other, but God’s plan for their lives. Theresa, it was great to meet you and hear about your books. My former critique partner is a Pelican author, Peggy Rychwa (Sheryl Marcoux). She's done two books with them. I would love to learn suspense and/or mystery writing! Doing romances, historicals and women's fiction right now, maybe someday. The plotting for a mystery/suspense intimidates me but we've all got to learn sometime, right?